Recently I was in Rotterdam for the highly insightful Traverse 18 conference. When it came to choosing somewhere to stay, there was one whose mere name caught my attention. That which I chose went by the name of The Student Hotel. Least not because of how intriguing the name sounded. Convenient too, as the venue for the Friday opening night party. So an ideal way to settle in upon arrival. But it was also the slogan on their website that caught my attention – “where the student in you lives on”. More than a decade on from leaving university, I have often yearned nostalgically for a return to that easy going student lifestyle. So the concept of a hotel with a “student” theme? Bring it on, I say. Despite naturally targeting the student demographic, anyone is welcome to stay, regardless of who you are, how old you are or how long for! Comfortable and not overlooking anywhere too noisy, so that’s OK by me. My room for the weekend was a standard but very comfortable single bed studio suite. Truth be told all that really matters for me is a comfy bed, a bathroom of some sort and a desk for work. Oh, and high speed internet, of course. Anything else is a bonus. I do not long for complimentary goodies and personalised greetings! A brilliantly useful addition here is that of your own mini kitchen if you want to make your own meals, like a typical uni student. Beans on toast, anyone? I will add that housekeeping for your room is not done every day unless you specially request. But that is never going to be an issue as long as you ask nicely! In fact, when I did stay it was the end of May and coincidentally hayfever season. So you bet red eyes and constant sneezing were impossible to overlook, especially when dust builds up. However, all I had to do was to politely tell the front desk that my room could do with a hoovering and it was not an issue for anyone! Mini kitchen area all for yourself! Remember your old student common room with table foosball? The canteen with a pool table? The Student Hotel has certainly got that too. On the ground floor, it has a great hybrid of study area and play area. Adequate space for a game of darts, pool, table tennis etc. Work. Meet life. Yes indeed! 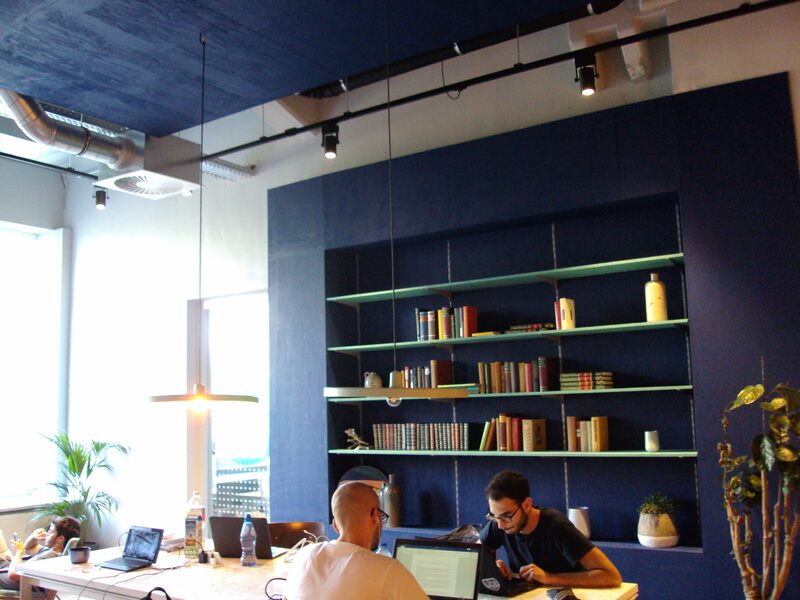 And further along the corridor is a co-working space with mini library and even some enclosed quieter rooms if you would rather work with zero distractions interrupting your all important projects. So, kind of like me in other words! Definitely brilliant that people’s different work routines are taken into consideration. 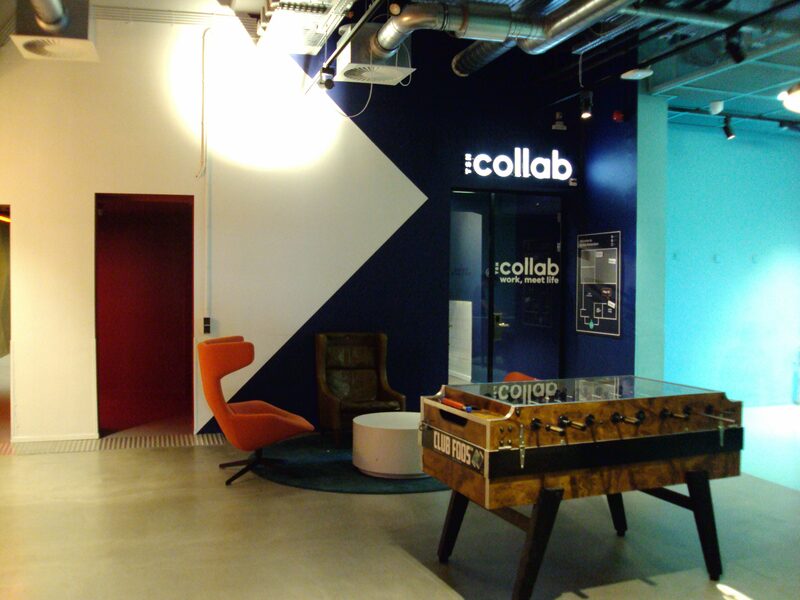 Co-working as seems to be all the rage these days. 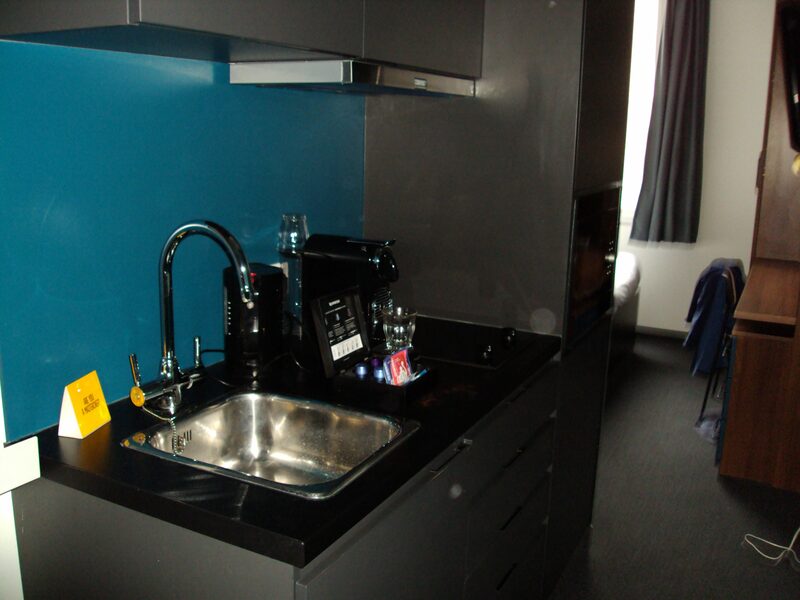 In keeping with the student residential feel, all rooms have a personal mailbox.The canteen and restaurant area doubles up as a bar too and you have your own laundry service. Breakfast was not included in the room price however, but it is more than worth it. And in the summertime, got to love the laid-back atmosphere provided by the deckchairs outside! Upon checking out, I could not get over how much of a stroke of genius The Student Hotel idea is. A halls of residence styled like a hotel. Or should that read a hotel that doubles up as a student halls! 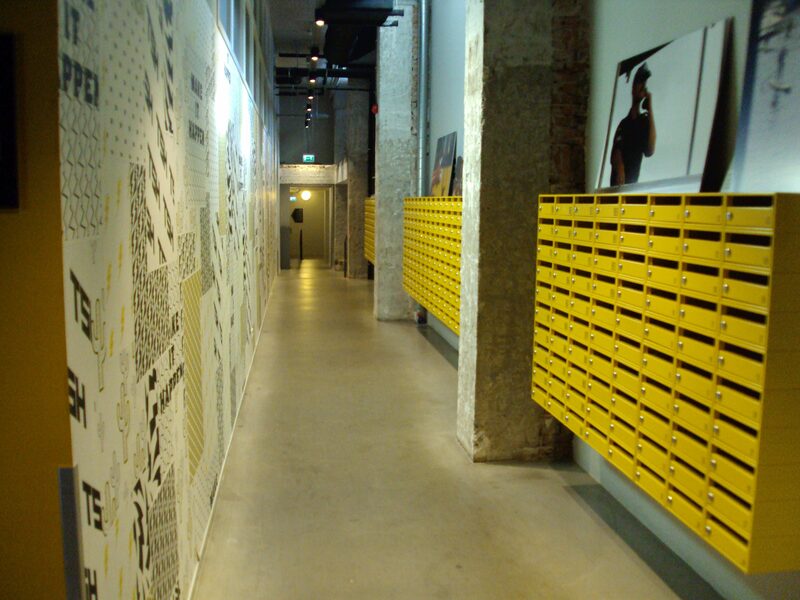 CEO and founder Charlie Macgregor, with a family background in providing student accommodation at the University of Edinburgh, came upon the idea after being astounded at long waiting lists for students in Amsterdam seeking a place to stay. So came along the idea for a hotel with a sense of community. Often when staying at hotels, don’t know if you agree or not, there is a feeling of anonymity at times. Very nice place to stay but limited opportunities to get to know and make new friends. How I wish something like this existed 10 or 20 years ago! 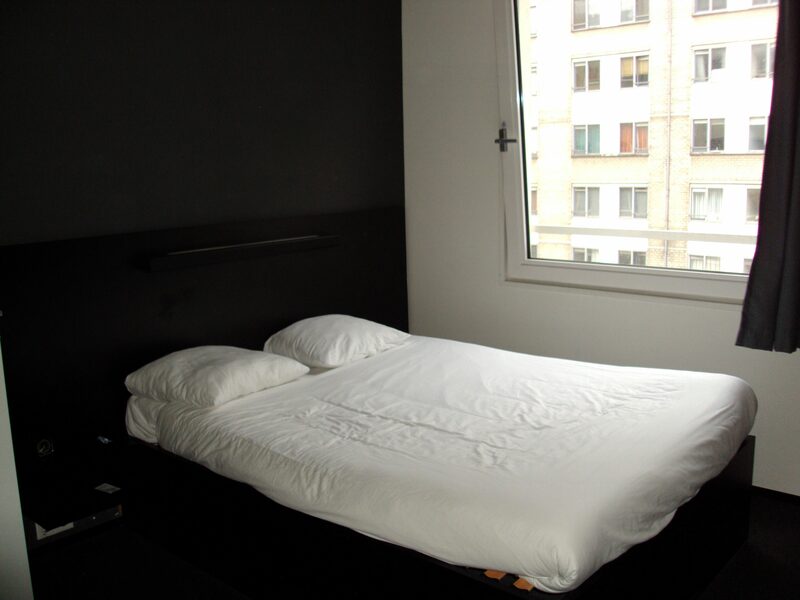 Today’s students for sure have a great option to ease any anxieties about getting a place to stay. I may be a cynic at times who has difficulty in believing in the existence of a perfect utopia. But this may just be the closest we will ever get that kind of utopia in which everyone regardless of age, nationality, background or anything can come together. 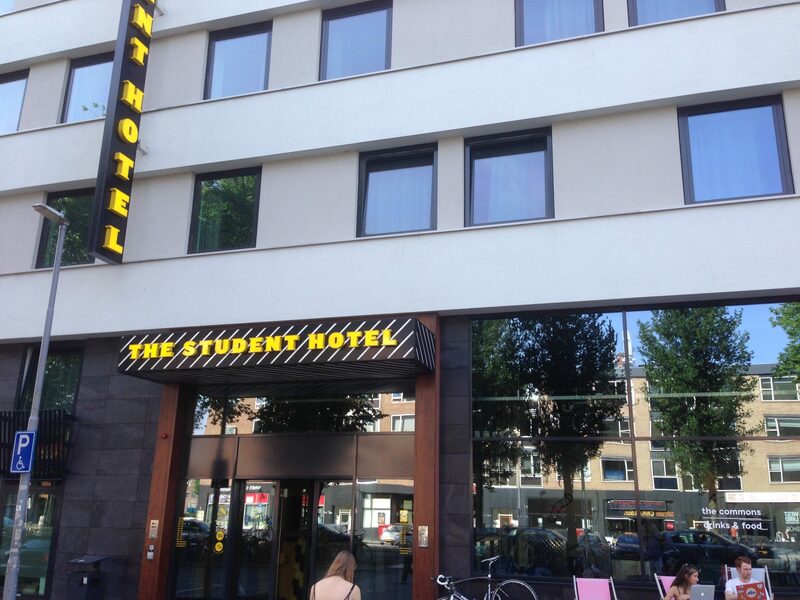 Although this is where it started out, The Student Hotel is not exclusive to only the Netherlands. Other properties are in locations such as Barcelona, Rome and a number of other cities too. There are plans to open even more across Europe and with a wealth of cities containing a substantial student population, the potential has no limits. If I am ever visiting any city where there is a branch of The Student Hotel, I think I know what my first choice of accommodation will be! With room rates ranging on average £55 (€65) per night weekdays and around £65 (€75) per night at weekends as well now that’s what a call pretty good value! I had never heard of the student hotel. I agree, this would have been VERY nice in college. The price is right, for sure! And what’s more it is great how the best of both worlds – study and socializing – are combined perfectly! “where the student in you lives on” – love this! I’ve never heard of these places before. Such good value too. And I hope the company continues to grow and expand across the continent! This sounds like a great idea! My question is if it’s reasonably priced, because dorming at a university can be quite expensive. I am sure if you go on the website, you will see various long stay offers if you would want a full semester or year. When you do the maths, you will probably find out that it is much cheaper in the long run and feel equivalent to a month almost costless! What a great idea! It’s perfect cause it’s great value for money as well. Students are always looking for the discounts! Nice place – I was at Traverse in Wales a few years back. I see the next one is in Italy – still debating on whether I will make that one. Indeed, looks like this year’s event will be brilliant. Got to start planning now!